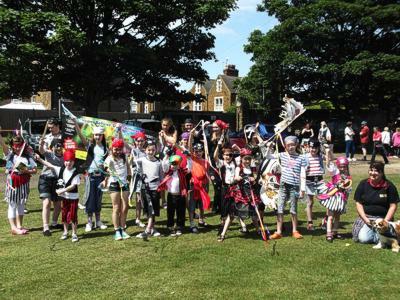 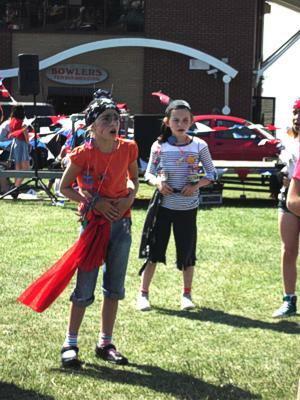 The John Giller Drama and Theatre Academy were awared 2nd place for best dressed Carnival Parade group by the Mayor and Carnival Queen. 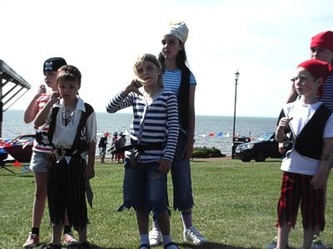 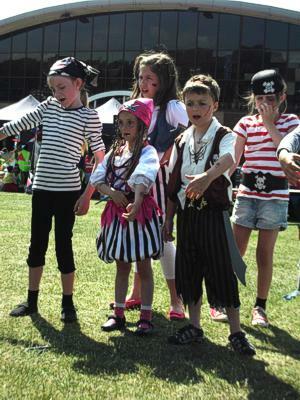 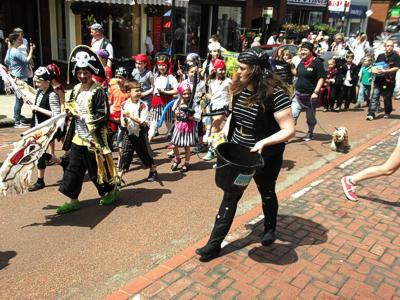 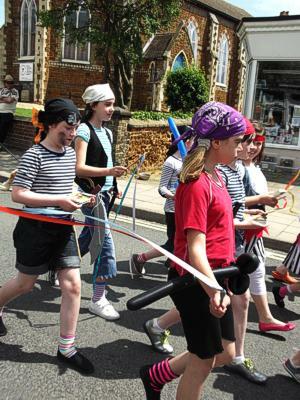 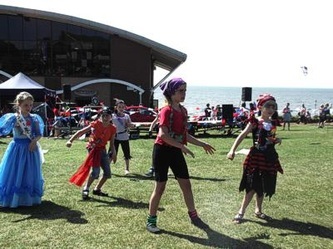 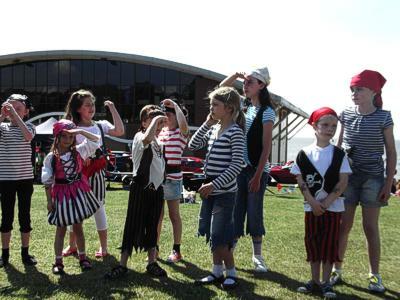 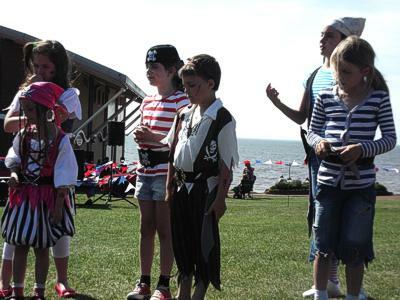 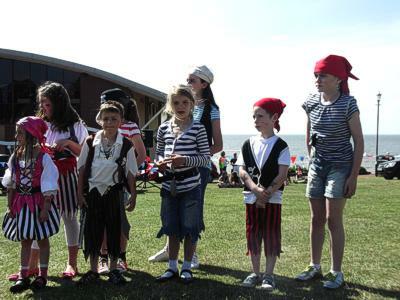 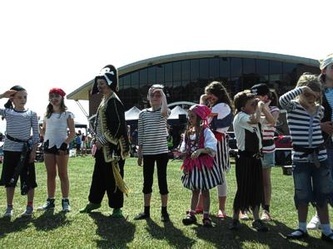 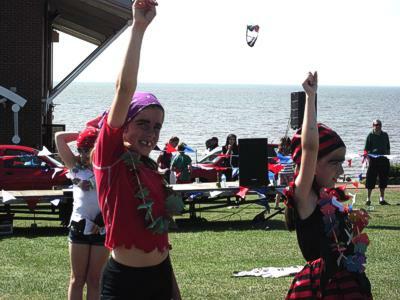 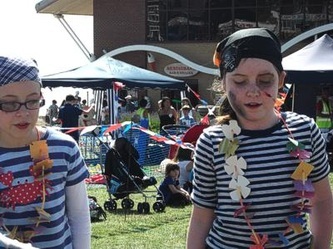 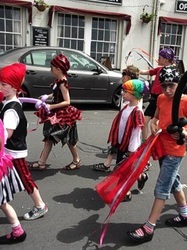 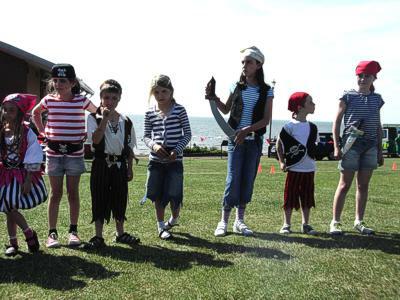 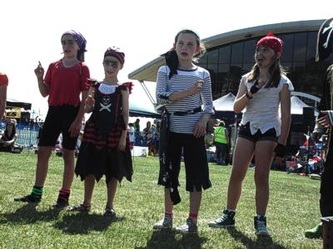 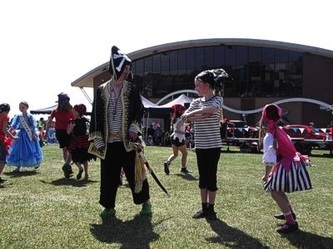 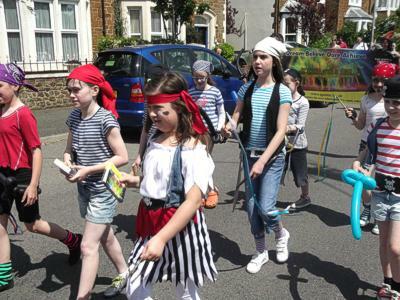 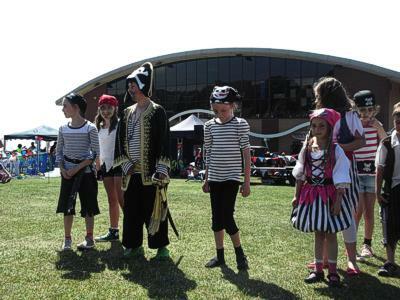 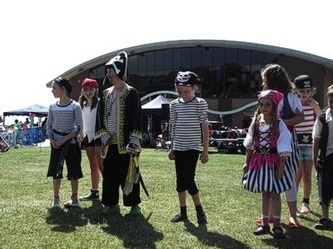 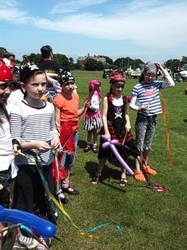 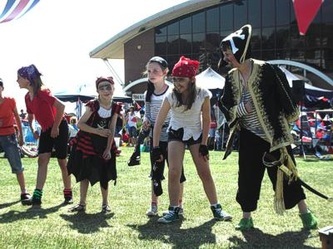 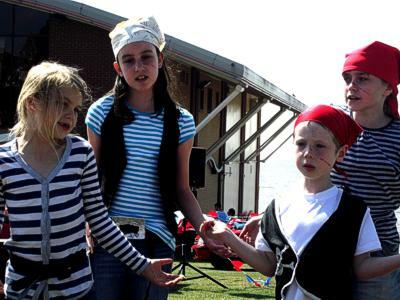 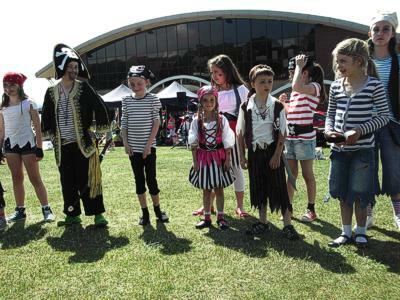 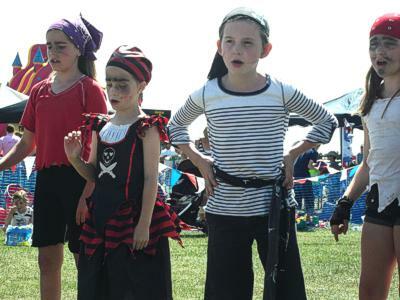 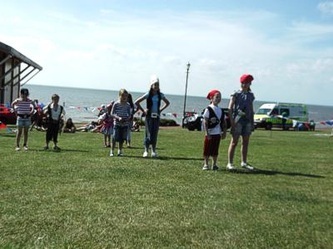 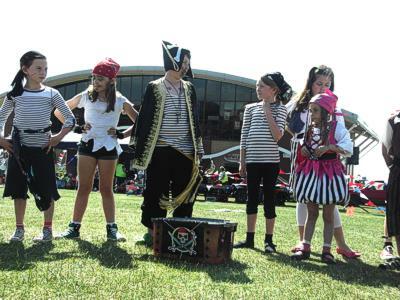 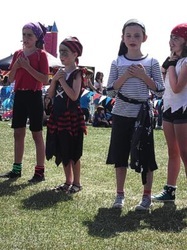 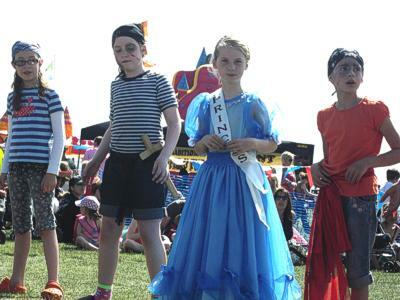 The theme this year was 'Take a Look, We're From a Book' and we dressed as pirates from the Seven Seas. 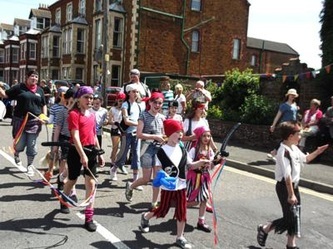 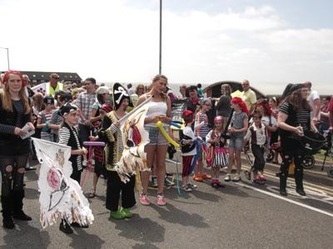 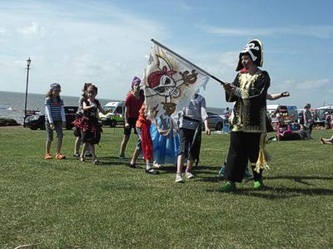 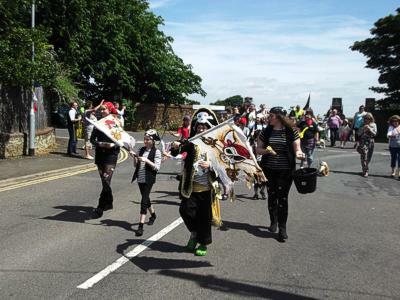 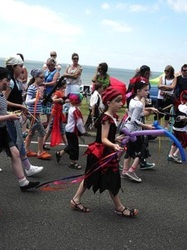 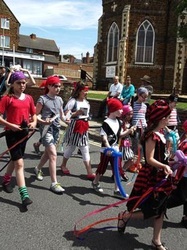 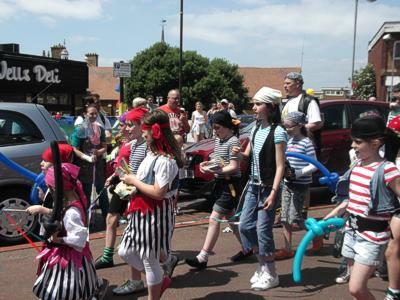 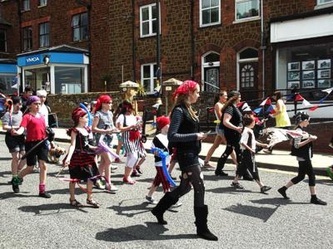 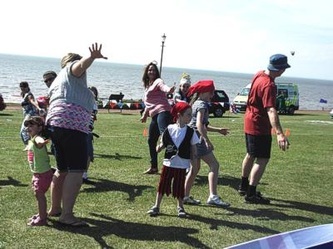 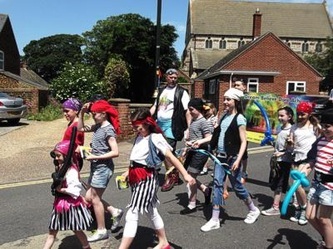 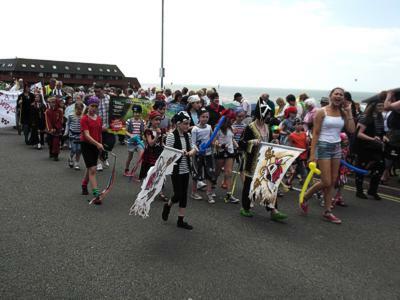 The Hunstanton Carnival Parade 2013 . . .
On Sunday 30th June 2013, JGDATA were part of the procession fun. 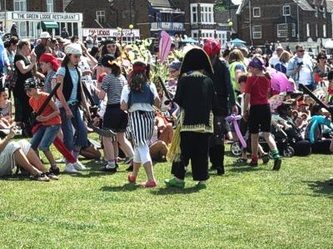 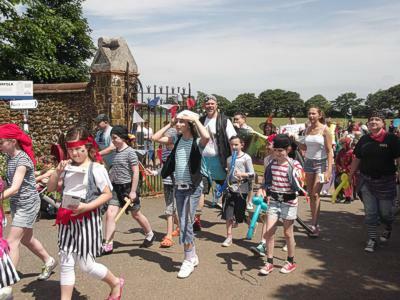 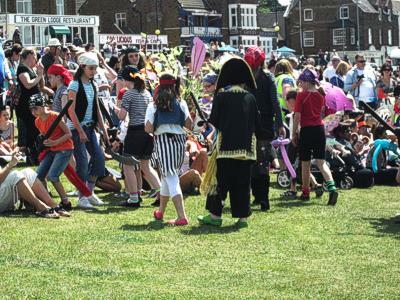 We left the recreation ground at 1.00pm and walked in the parade in front of hundreds of cheering visitors, following through the High Street, past the arcades and along to Hunstanton Green where we all assembled for photos. Take a look at us in the parade . 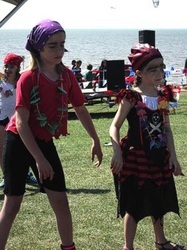 . .
Click on an image to get a closer look . 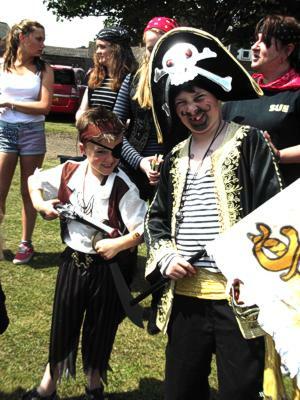 . . 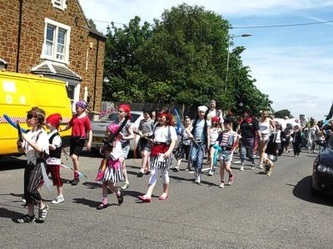 The Hunstanton Carnival Perfomance 2013. . .
JGDATA were asked to perfom at the 2013 Hunstanton Carnival and were very happy to be the Finale Act. All the TWINKLING and SHOOTING Stars students, were fantastic true professionals, performing an outstanding show that was loved by the hundreds of visitors in the audience. 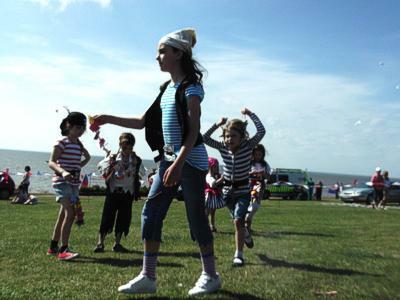 Take a look at them in action . . .
Commnets on the show . . .
A lovely afternoon, the children looked and sounded great. 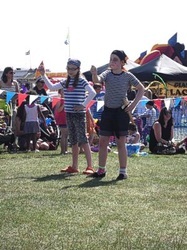 They have obviously been working really hard on this show! I would like to leave a message for the everyone. 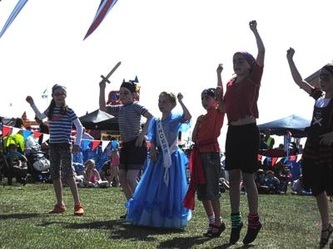 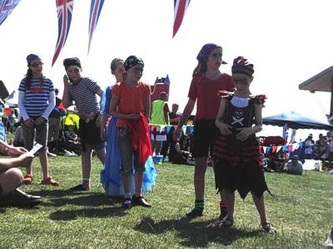 The performance on Sunday was brilliant, you should be really proud of achieving such a high standard of performers they were amazing, and didn't they look like they were having fun doing it :) although it was late it was well worth the wait. 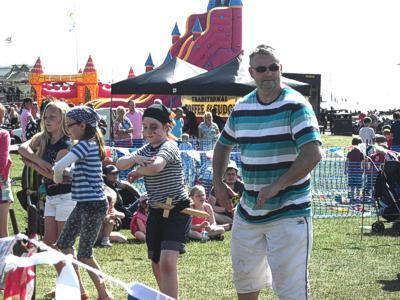 Well done fella , you and your kids should be very proud. To see children happy and confident in what they are doing is so refreshing and what a pleasure it was to see JGDATA kids dancing and singing with great big smiles under such intense heat on Sunday......well done to you all, you're a credit to your academy but more impotantly yourselves...well done, can't wait to see what's next. 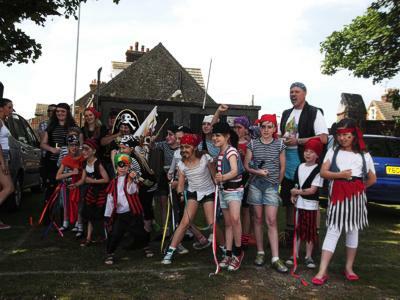 And here's a motley bunch of Landlubbers . 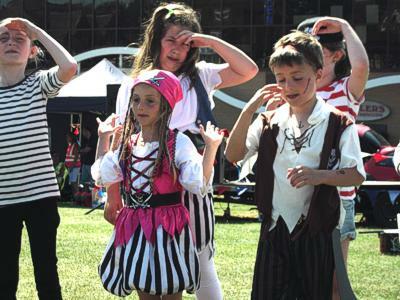 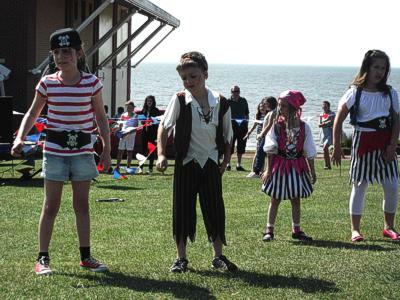 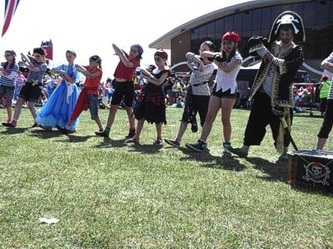 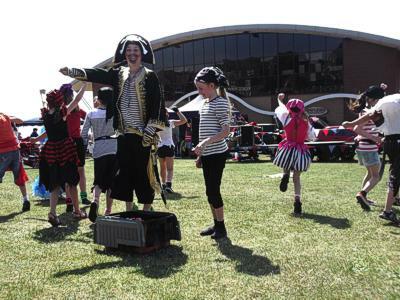 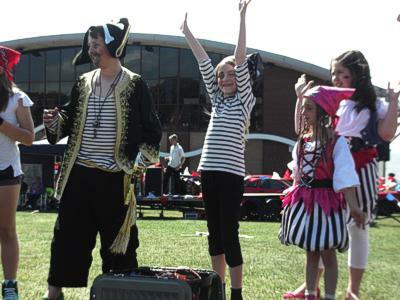 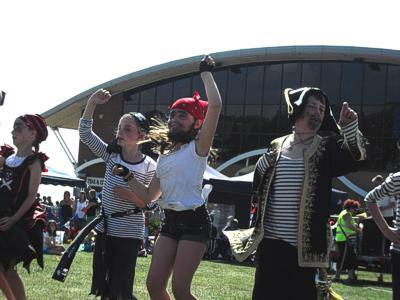 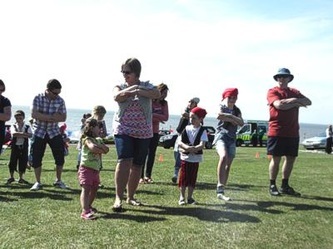 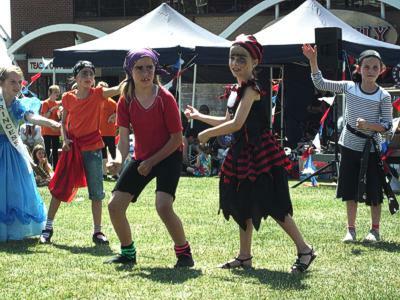 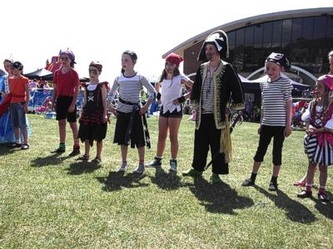 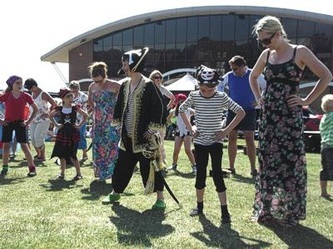 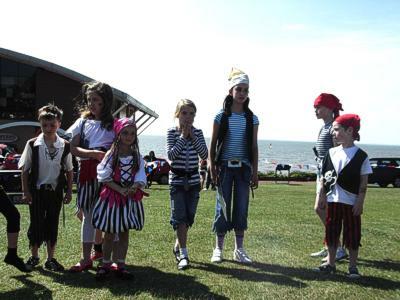 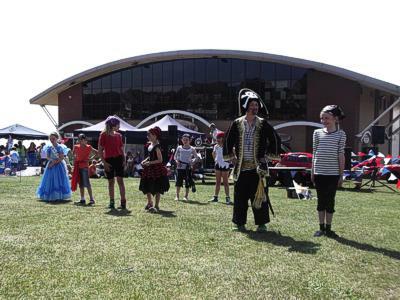 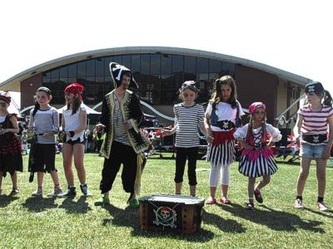 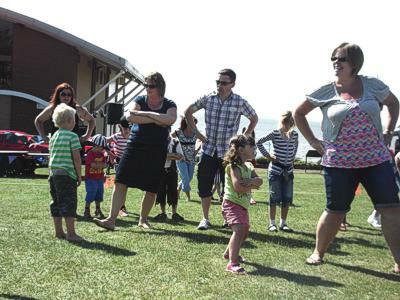 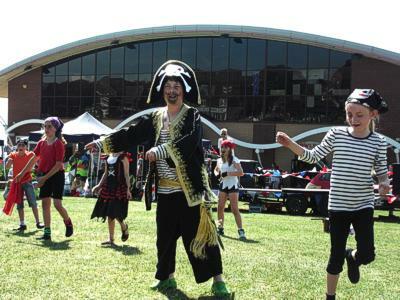 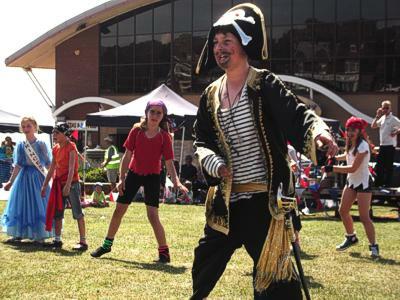 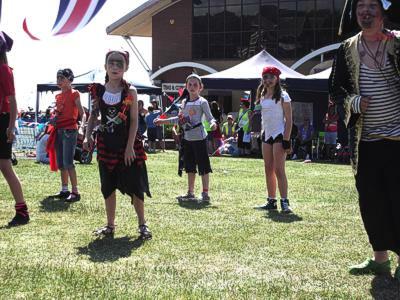 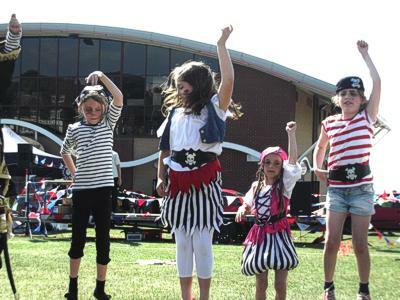 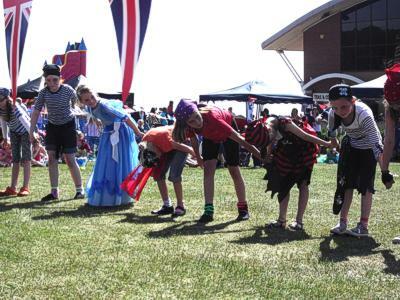 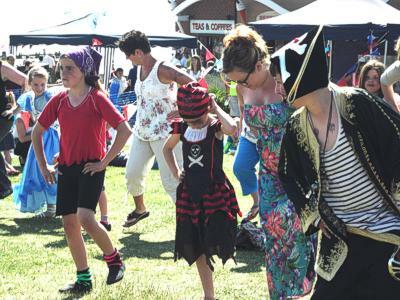 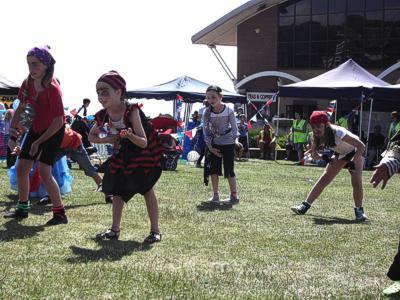 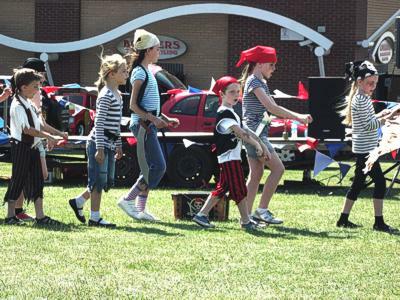 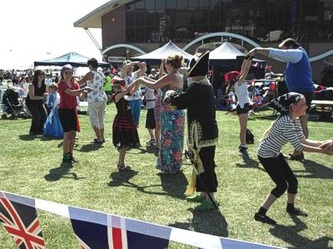 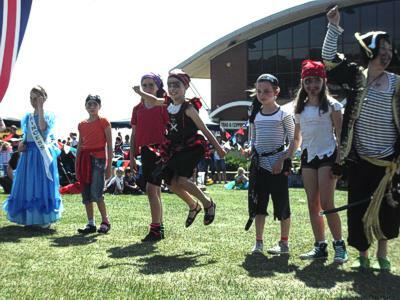 . .
Mums, dads and friends performing the Pirate's Hornpipe dance with the students as an encore . 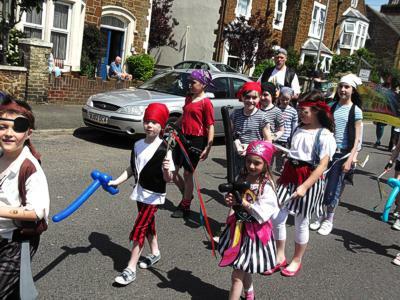 . .
Click on any image to get a closer look . 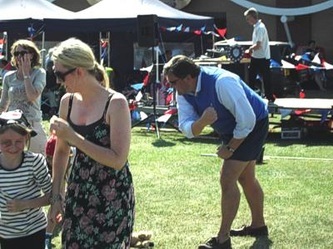 . . Thank you to Jo Giller for the photos - fantastic work. 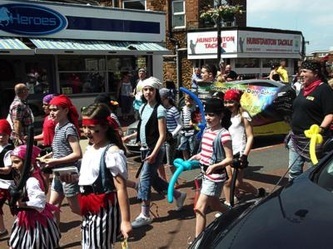 Thank you to Sue Murkett for help with make-up and the parade and not forgetting a big thank you to Paul Barnett of Kings Oak Kitchens for his help with the parade too. 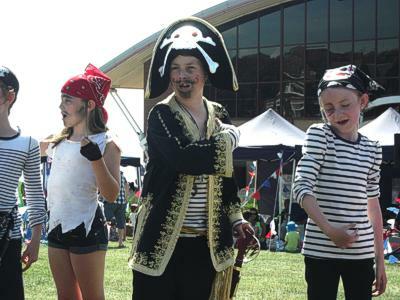 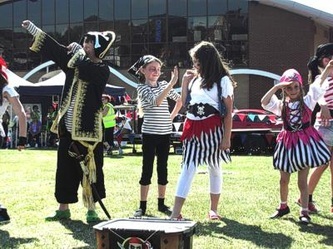 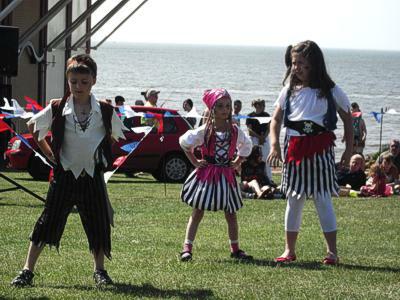 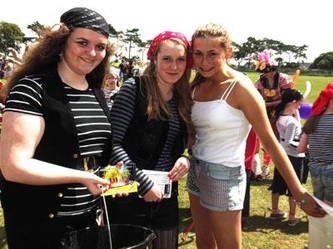 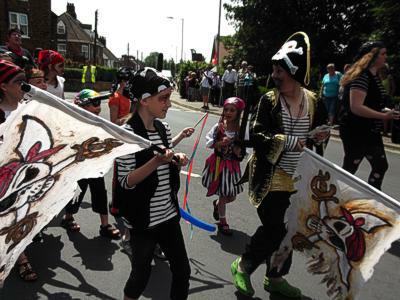 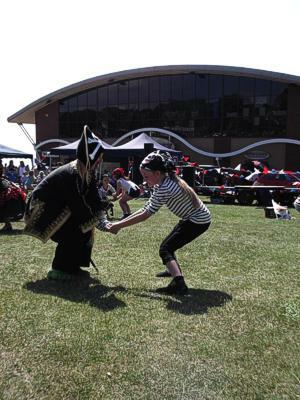 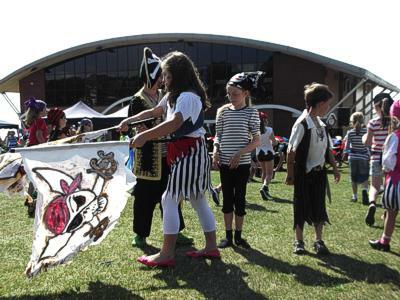 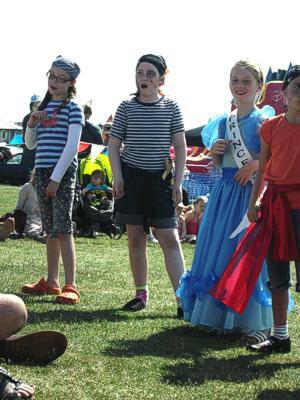 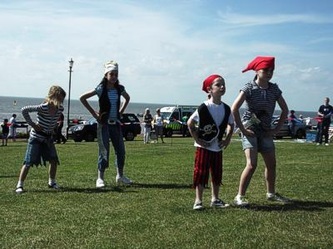 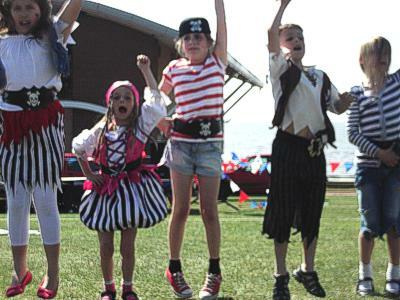 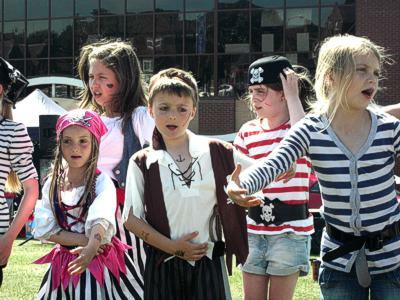 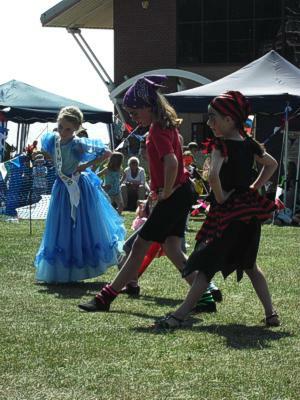 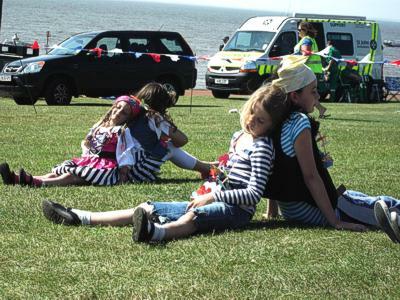 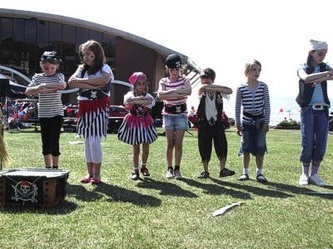 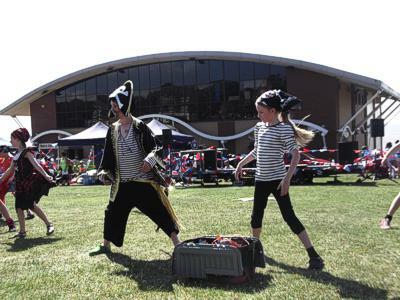 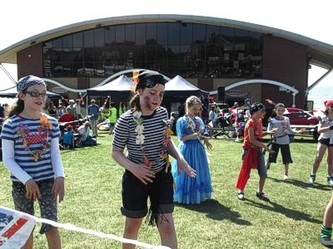 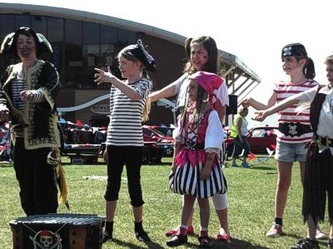 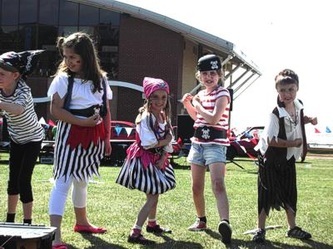 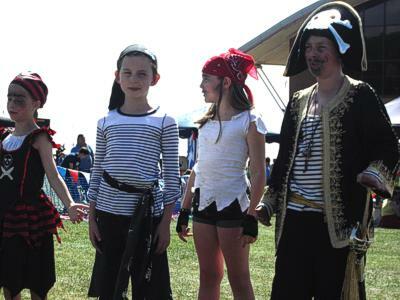 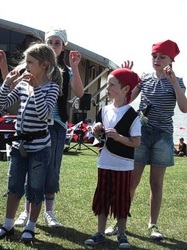 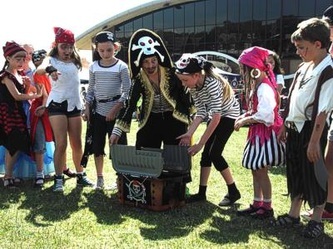 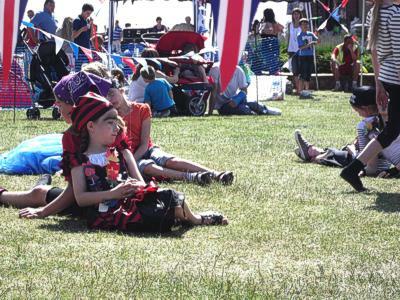 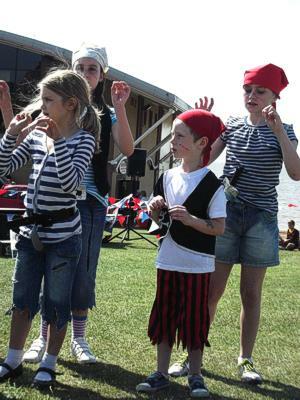 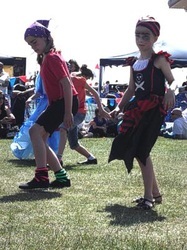 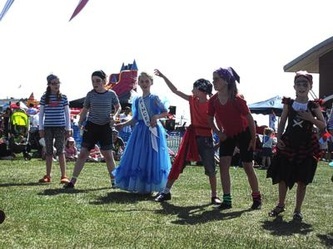 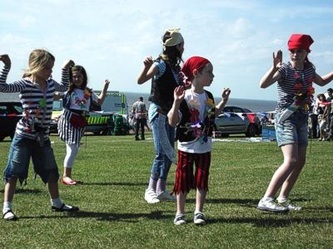 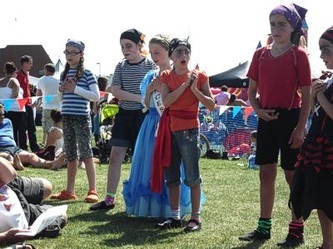 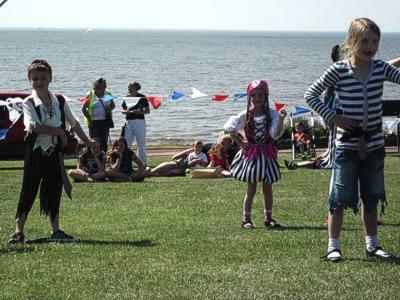 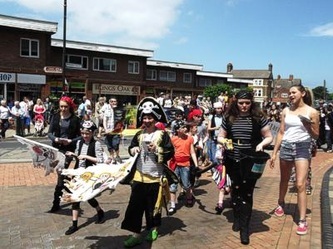 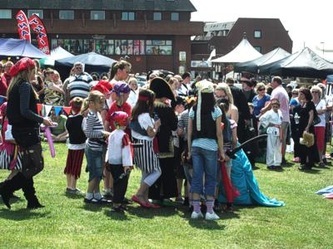 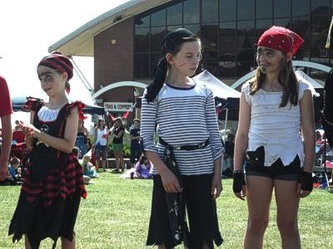 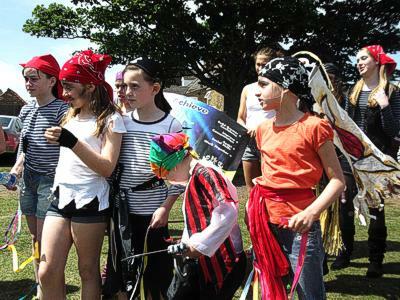 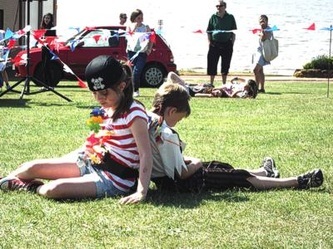 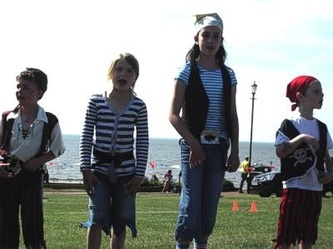 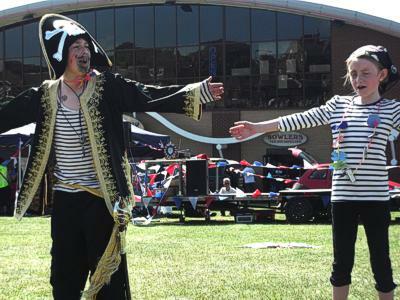 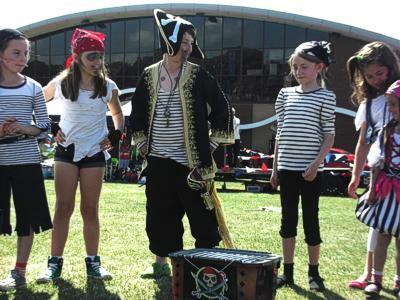 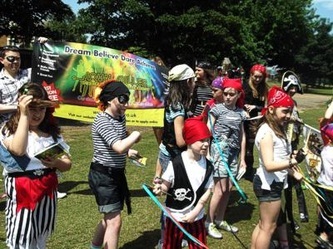 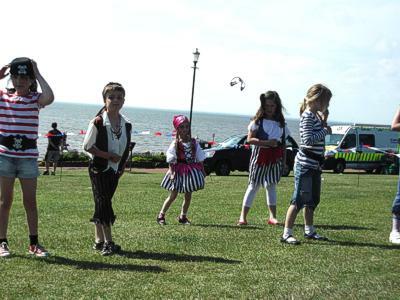 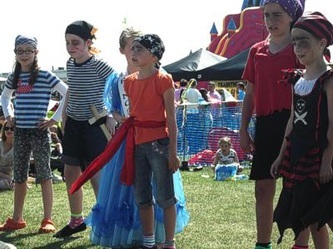 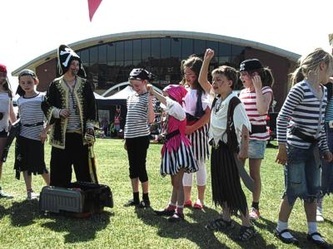 Click to go to the Millbridge Care Home Pirate's Picnic show.